This guardian tanto is the perfect option for those seeking a tactical boot knife with a single edge blade and reinforced tip. 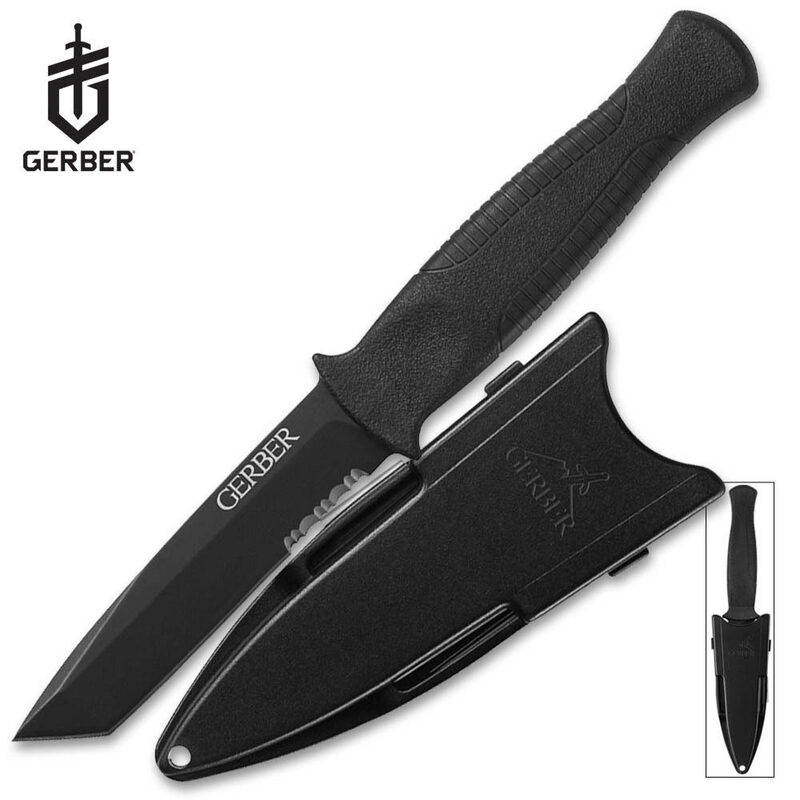 The partially serrated tanto tactical blade is all black for a discreet, non-reflective carry. The "TacHide" handle offers a secure grip in all conditions. Includes sheath with adjustable retention. Made in USA. 3 1/2 in. blade, 7 1/2 in. overall.